Last month, while promoting his Rocky spinoff Creed, Sylvester Stallone confirmed that writing had begun on Rambo: Last Blood, the fifth and final entry in the series. Now comes word from Deadline that Fox has closed a development deal for a TV show based on the series titled Rambo: New Blood. And Sylvester Stallone may return to reprise his iconic role as Vietnam vet John Rambo. Sylvester Stallone is producing this action series, which is directly based on the franchise that kicked off in 1982 with First Blood and carried through three more sequels including Rambo: First Blood Part II in 1985, Rambo III in 1988 and Rambo in 2008. At this time, it isn't known if Sylvester Stallone will appear on the show, or if John Rambo will be played by someone new. The character will be prominently featured in what is described as a father-son drama. Sources close to the project say that there is a deal in place for Sly to act as well as oversee the story lines that will be in play. The main plot will focus on John Rambo's son, and their complex relationship. J.R. Rambo is an ex-Navy SEAL, a character not found in any of the movies. He will serve as the audience's way into this new iteration of the series. And his actions will pay homage to what his dad did in the past. John Rambo is called a key player in the action. And if Sylvester Stallone does reprise his role, it won't be in cameo capacity, such as what Eddie Murphy did in the Beverly Hills Cop TV show, which never went to series on CBS. That project focused primarily on Axel Foley's son, with Eddie Murphy to only make occasional appearances, and not in every episode. Jeb Stuart, who has the original 1988 Die Hard and Harrison Ford's The Fugitive on his resume, is writing the series, which is coming from Entertainment One and Avi Lerner's Millennium Films. Nu Image/Millennium Films began developing a Rambo TV series in 2013 with the goal to sell it to broadcasters both in the U.S. and international. That version of the show never moved forward. Even though it was just two weeks ago that Sylvester Stallone announced writing had begun on Rambo: Last Blood, Deadline reports that the movie sequel has been put on hold. Rambo: New Blood marks the second Sylvester Stallone franchise set to be turned into an upcoming TV series, with an episodic The Expendables project also in the work at Fox with the same team in place. That show is now in development and has NCIS: Los Angeles's Shane Brennan as a show runner. This will actually be the second TV show for John Rambo, who was featured in a 1986 animated series titled Rambo: The Force of Freedom. 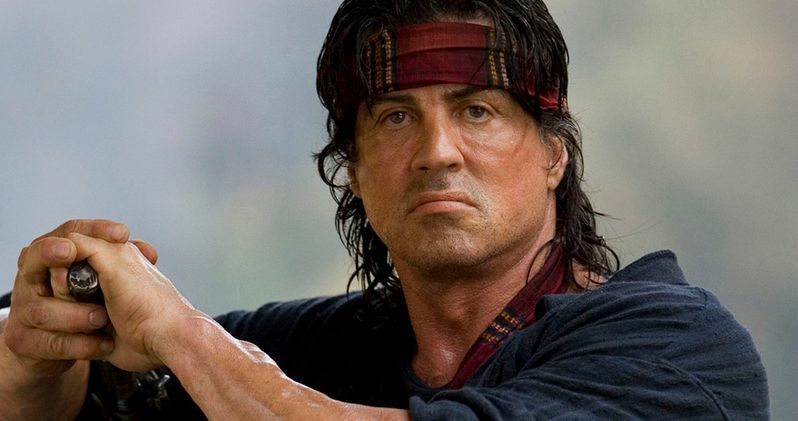 If Sylvester Stallone returns as John Rambo, it will be his first major TV series role. It isn't known if he will also reprise his role in The Expendables TV show, which may bring back prominent TV action heroes of yesteryear. What do you think? Are you excited about the weekly adventures of this burnt out Vietnam Vet who seems to always be on a deadly revenge mission?